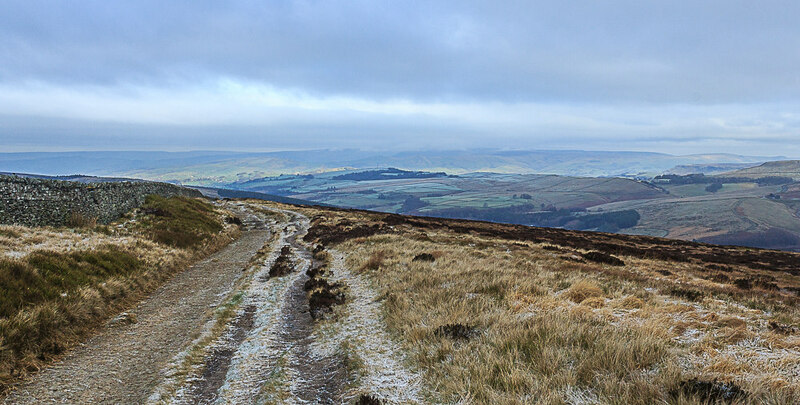 I opted to head west today as the weathermen promised the skies would be clearer towards the west of the Peak District. I knew it would be cold but I certainly wasn't expecting to see snow, however light. 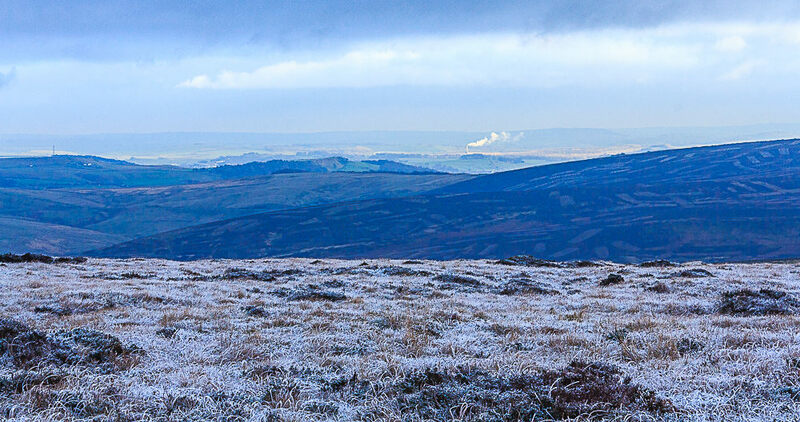 Looking across to a very cold looking Macclesfield Forest as I pick up the path to Shining Tor. 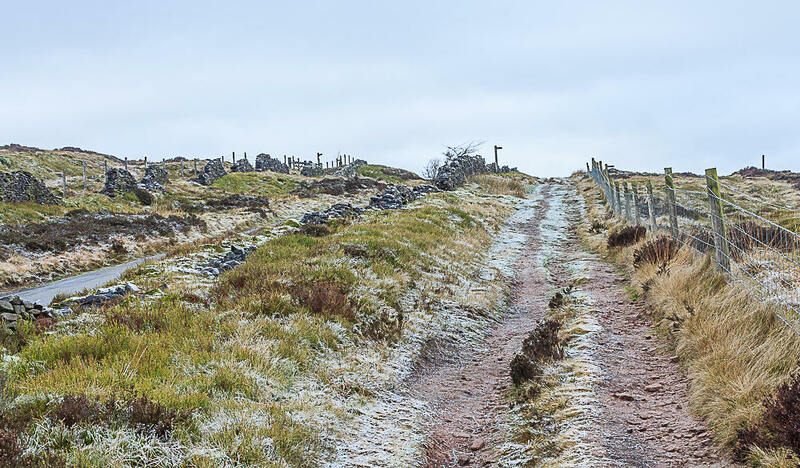 The path was frozen in places and by now my gloves were on for the first time this winter. Just above the farm Shining Tor comes into view, time to decide which way round I'm going to walk. I decide to head down into the valley first and save the ridge for later. My reward is a view across to Kinder, where the clouds are just catching the top of the plateau. 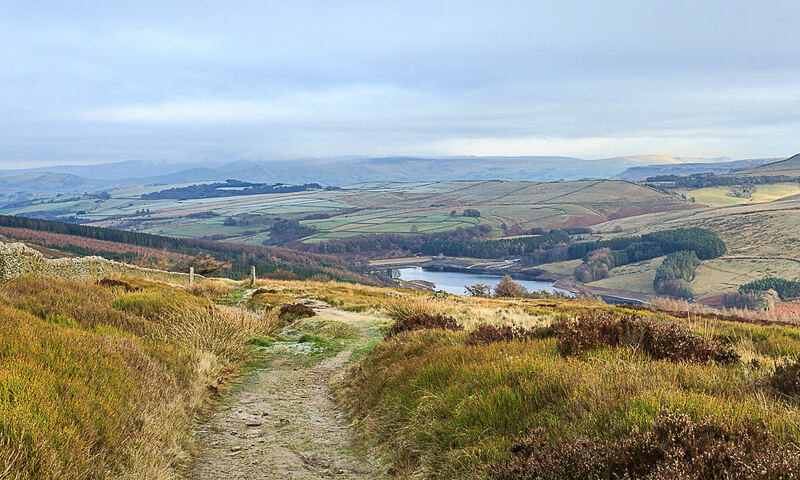 The other advantage of doing the route this way is the view of the reservoir as you descend. 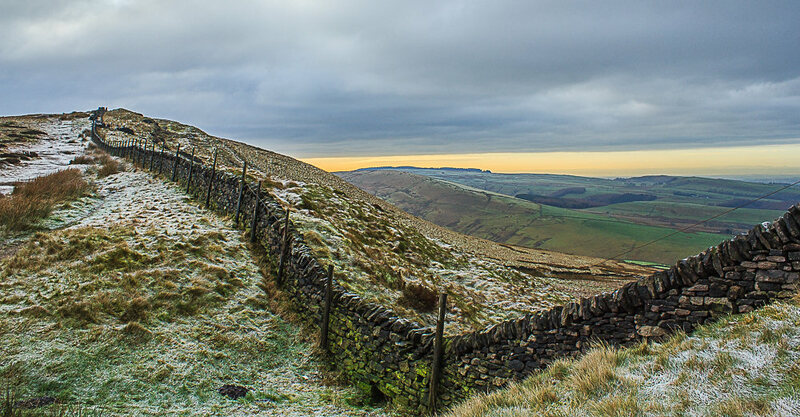 Looking across towards Foxlow Edge and I debate whether or not I'm going to walk below it or on it. 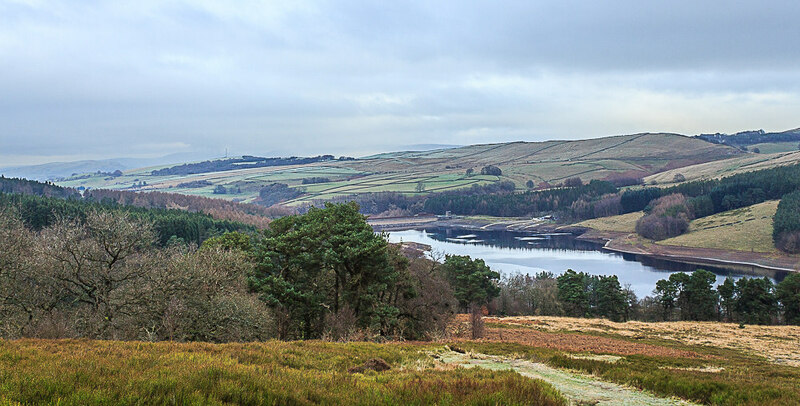 A final view of the reservoir before I head into the trees. 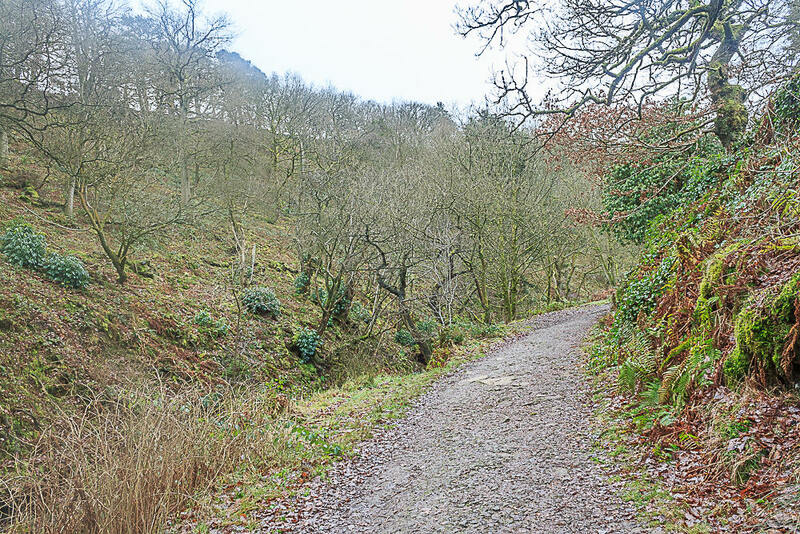 As I head into the trees and pick up the path to Errwood Hall it starts to snow. 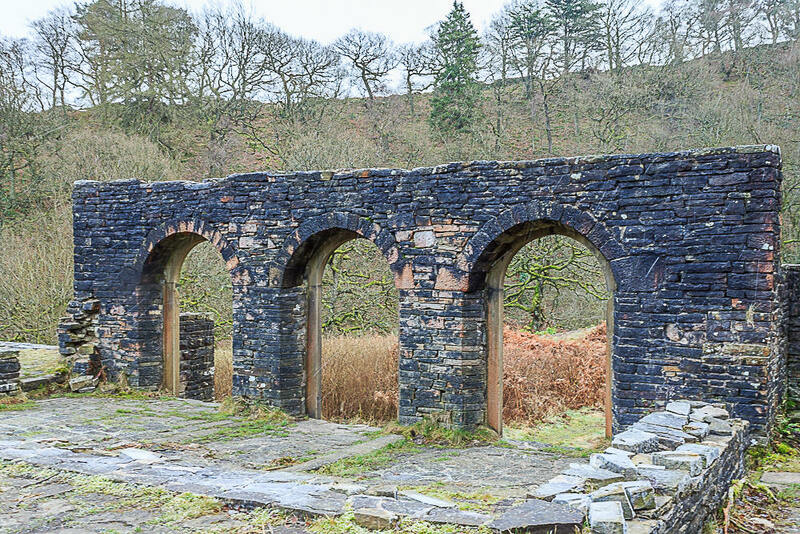 A few flakes are caught in motion as I take a shot of Errwood Hall. 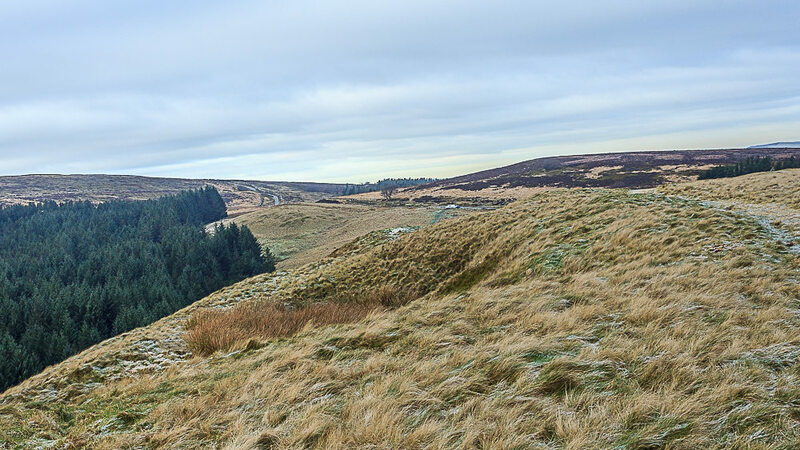 I decide to do a bit of exploring and find a different route onto Foxlow Edge. 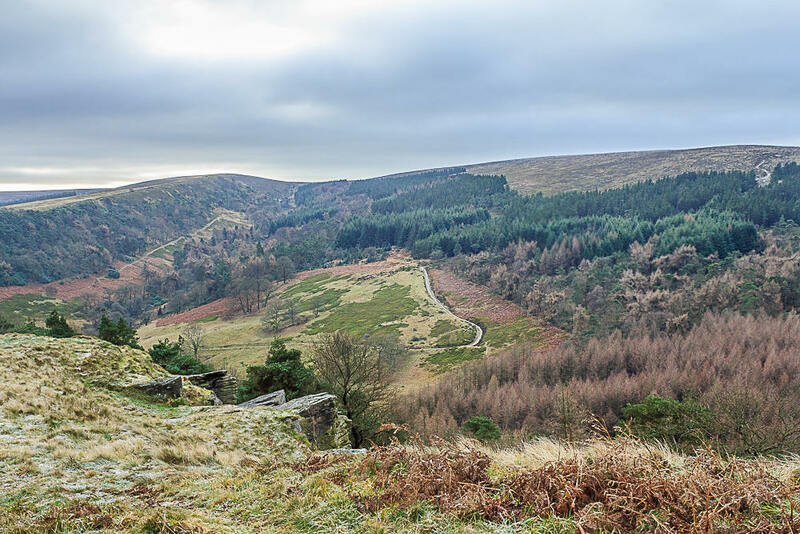 Shooter's Clough from Foxlow Edge. 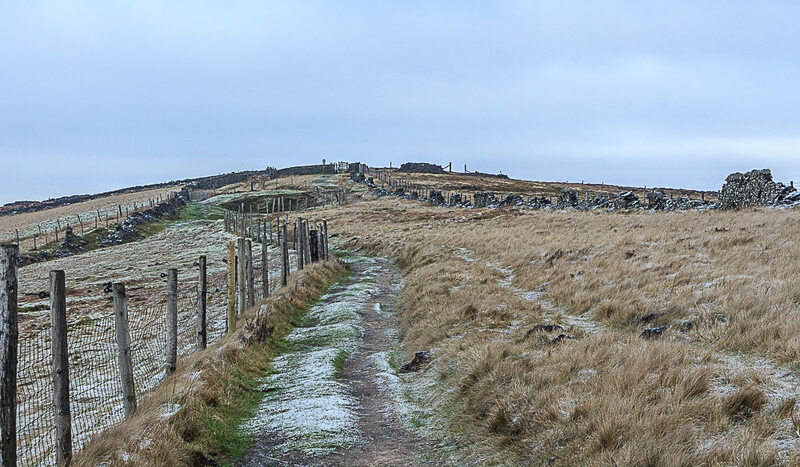 Looking back down the path and across to Wild Moor and Burbage Edge, somewhere I must make the effort to visit this year. 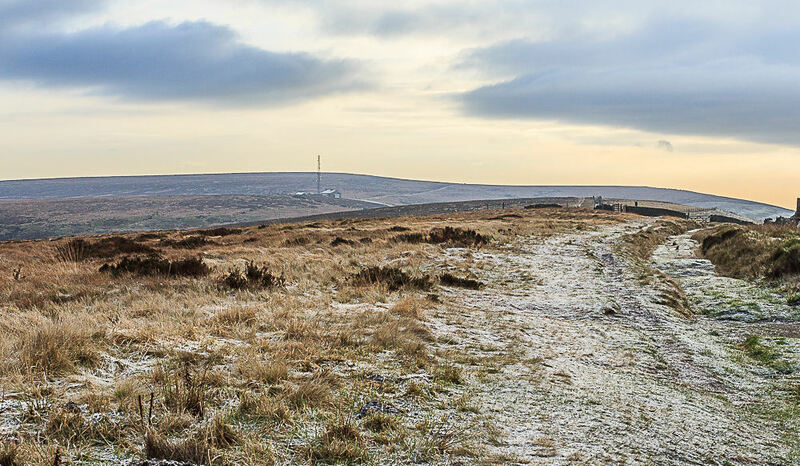 One reason for heading onto Foxlow Edge was for the views, here looking across to Combs Moss. It's a long time since I've walked there. 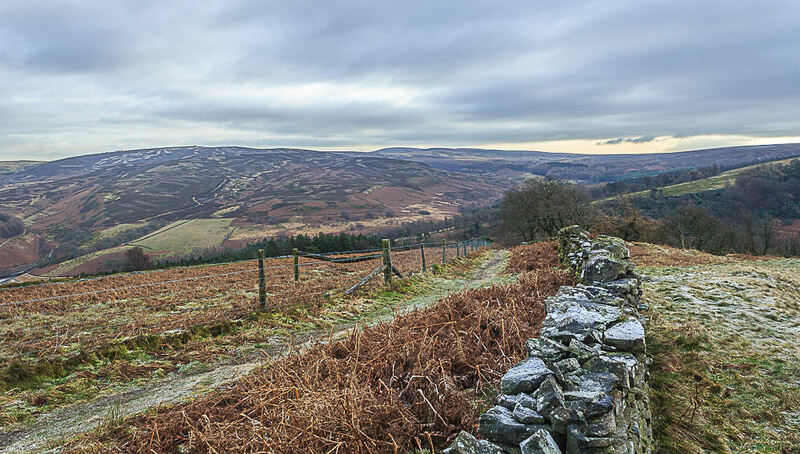 Looking across the Great Ridge, with Win Hill visible beyond it. I reach the end of the edge and head for the gate onto the road. As I head up The Street Mam Tor is caught in sunlight. The path up the side of The Street can often be a bit of a bog-hopping experience, not today. 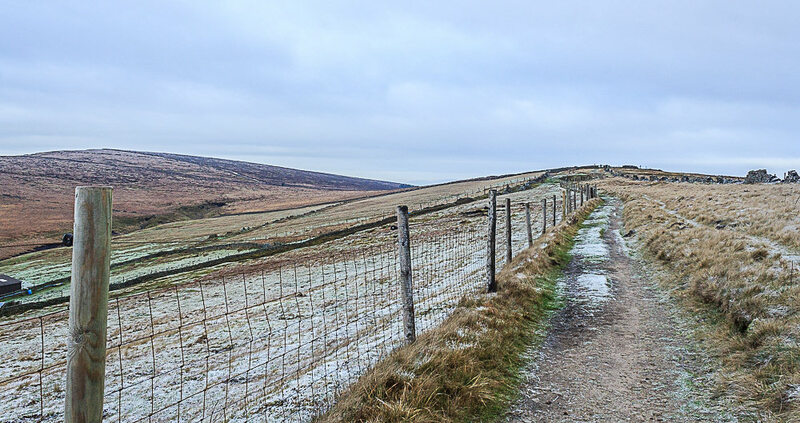 Windgather Rocks come into view as I start along the path to Shining Tor. Foxlow Edge from the path along The Tors. As I pass Oldgate Nick the colour of the sky beyond Andrew's Edge attracts my attention. Looking behind me I can't but notice that Kinder has disappeared and it looks like a snow shower is heading my way. 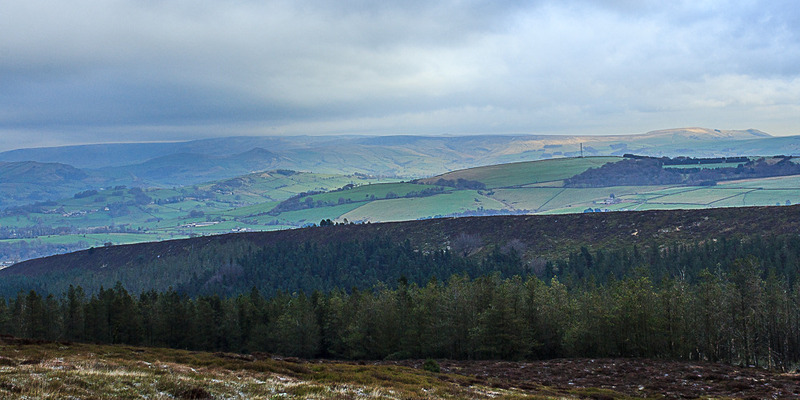 I grab a few more shots of the view across towards Shutlingsloe. 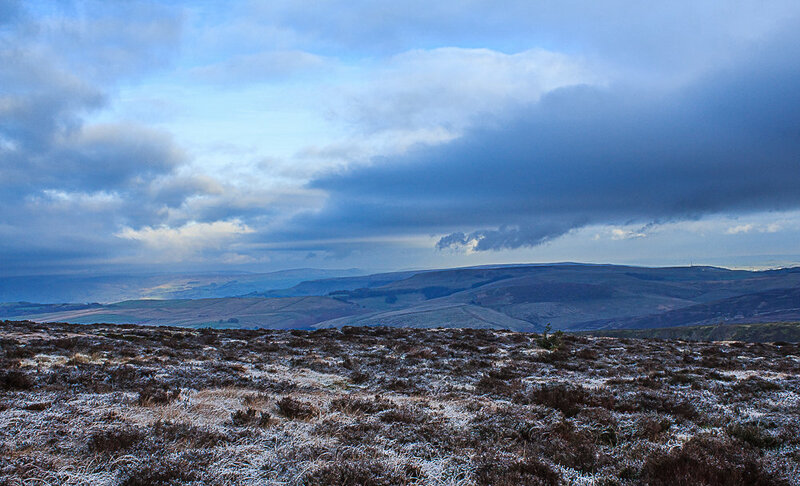 Croker Hill and Shutlingsloe from The Tors, just before the snow shower arrives and the camera is packed away. 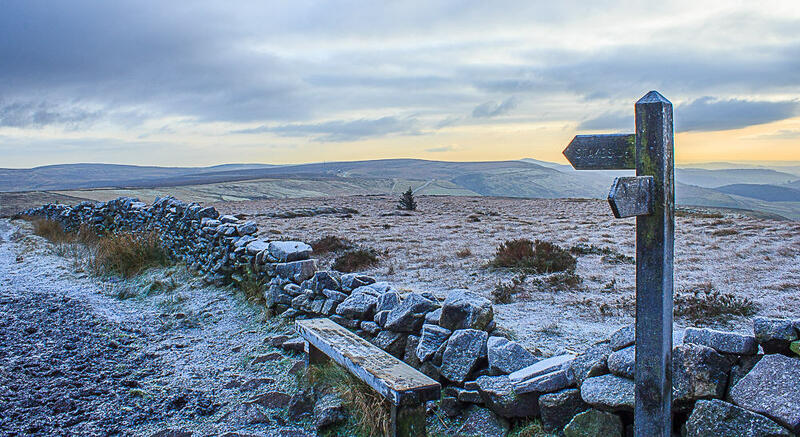 By the time I reach the trig the snow shower has passed over so I make the obligatory trip into Cheshire. 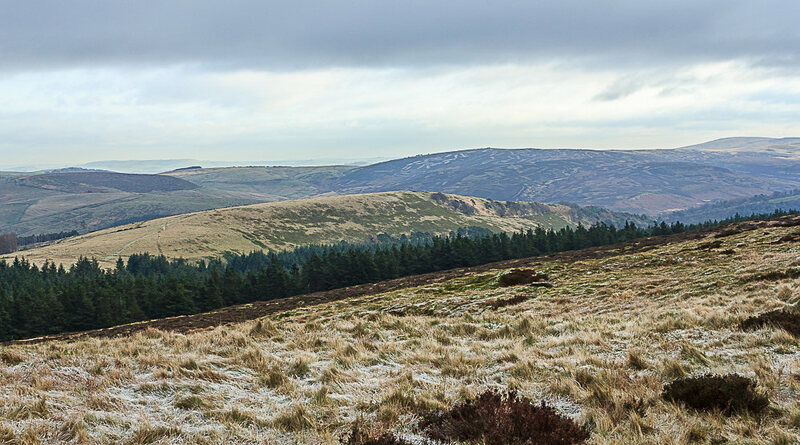 Kinder is once again in view as I look back along The Tors from the trig point. Now it has stopped snowing I enjoy a very cold lunch looking out across the moors as blue sky finally makes an appearance. I have the place to myself, which is I think a first. As the sun comes out I can make out the Edges beyond Hope Cement Works. If it wasn't so cold I could have sat for hours enjoying the view. 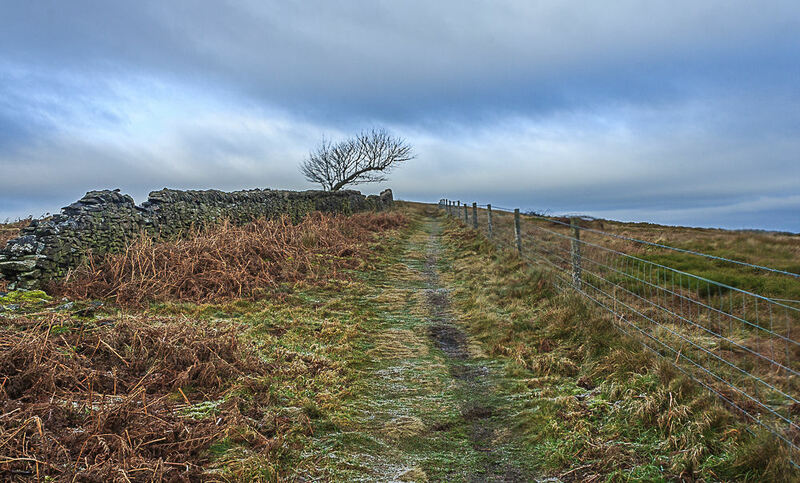 As I head down from the summit of Shining Tor the sky continues to clear. 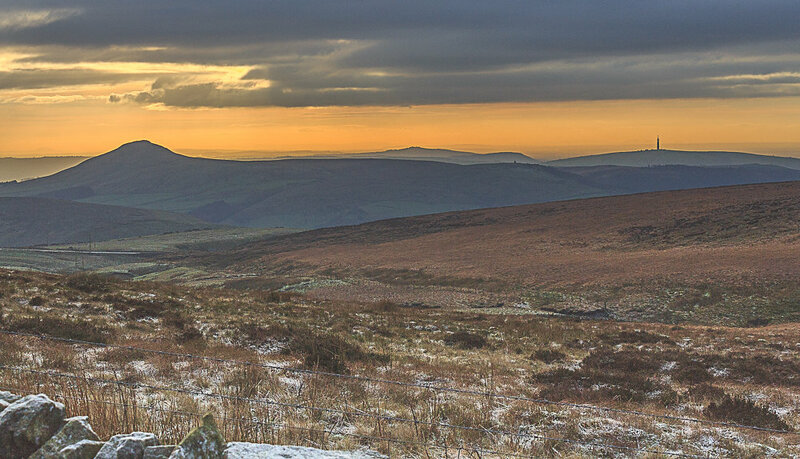 I can't resist taking another shot of Shutlingsloe and Croker Hill set against the orange sky. All that remains now is to retrace my steps back to the car, avoiding the ice.